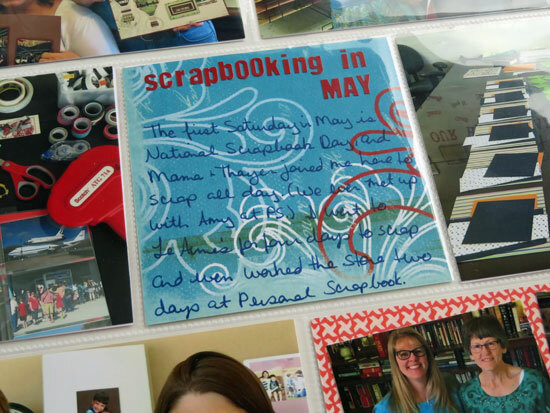 This month I'm planning to process photos from the second half of last year and scrapbook those photos and stories for our 2016 chronological albums. I already have quite a few layouts from the first half of the year in our album, along with these FUN pocket pages. 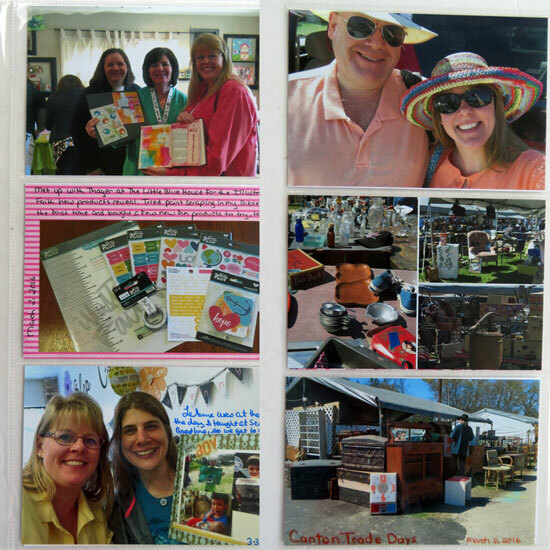 March 2016 - 6x12 pocket page: Front - a few miscellaneous photos from March; Back - photos from our outing to Canton Trade Days. 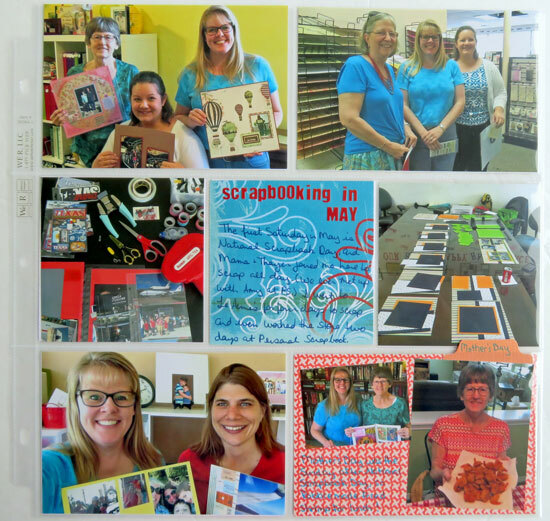 Scrapbooking in May (& Mother's Day) - a 12x12 pocket page with a variety of scrapbooking photos from May. 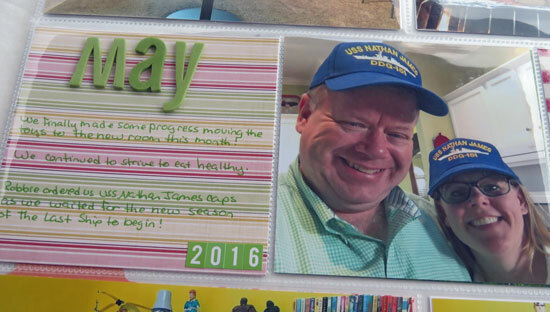 Here's a closer look at my journaling block. 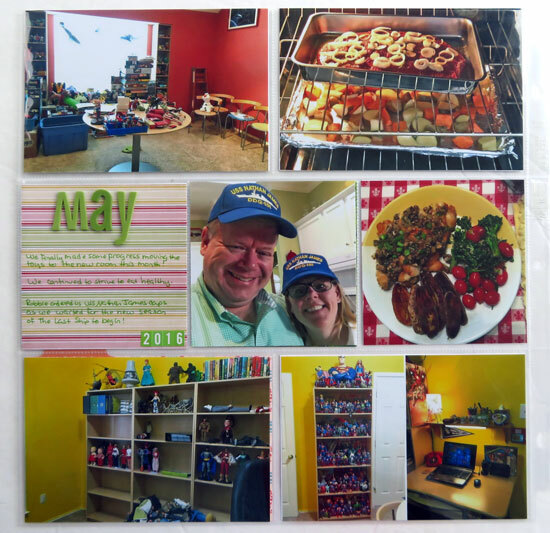 May 2016 - the back of that 12x12 page protector with miscellaneous photos from the month. 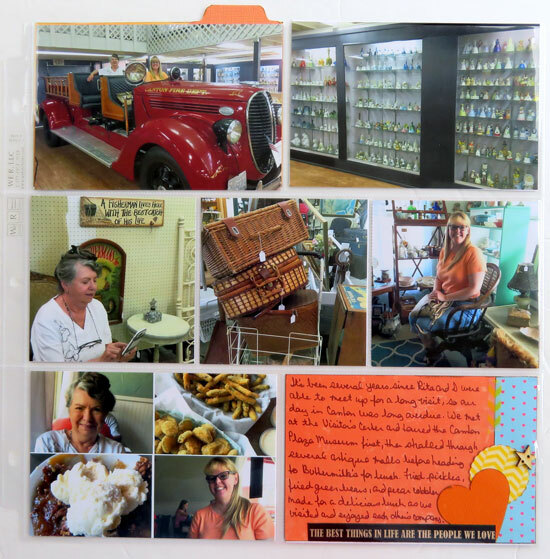 Canton with Rita - a companion page to the 12x12 layout I created about my long overdue outing with my sweet friend Rita in July. 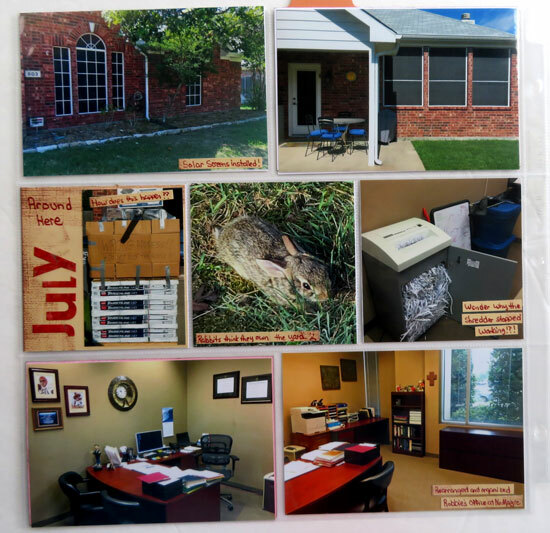 July Around Here - the back of that pocket page with a smattering of photos from July. I like these random photos that tell the story of our month. 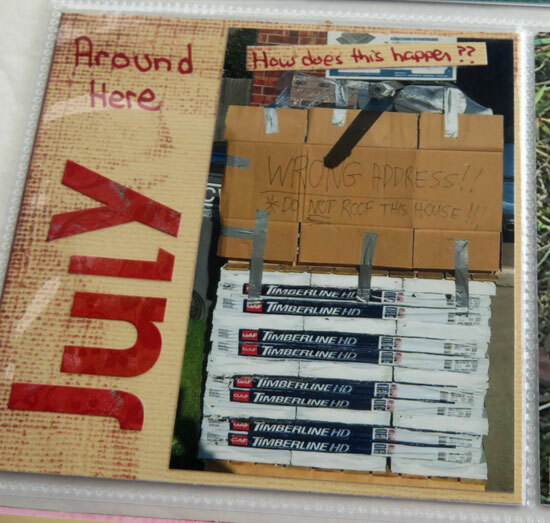 One morning, Robbie needed to leave for work, but there was a pallet of roofing supplies in the driveway behind his car! We were not scheduled to get a roof, and there was no address or company name anywhere on the products. To ensure that workers didn't arrive and start removing our relatively new roof, Robbie left a note. Another day, someone stopped by Robbie's office to let him know the shredder had stopped working. Since he is the COO (Chief Operating Officer) along with being the CFO, this "operations issue" fell to him. This is what he found in the work room! Just looking back through these layouts in my album provides INSPIRATION for getting to work on the stories and photos from the last half of the year. Have you scrapped stories and photos from 2016? Did you include pocket pages? 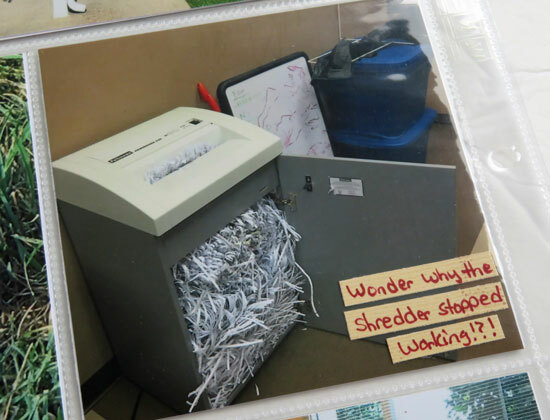 The shredder photo & tale made me chuckle out loud for several minutes. I frequently have this "issue" reported to me at the clinic. I have checked the operating manual & no one does it say, go find "x" & tell them ... I'll say no more. Thankfully your roof did not get replaced. I mingle in pocket pages frequently now. 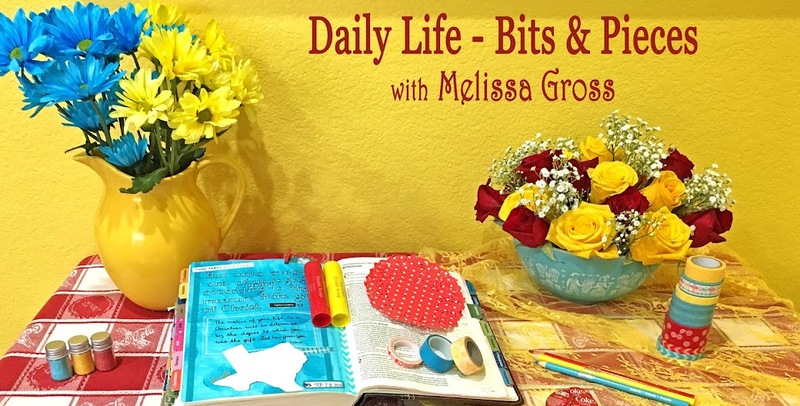 I can feel myself moving towards recording our lives pocket style, with fewer "big" layouts. The shredder picture is very funny. Makes me think I should go and take a quick look at ours.. 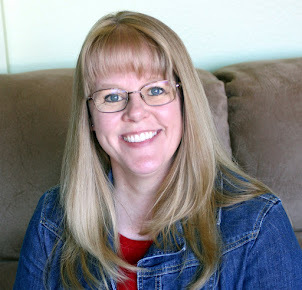 I love your colorful straw hat in the first layout. I agree, having random photos tell us so much about our days. I have several months of 2016 left to finish---hopefully done in February!